Blake Books for G. E. Bentley, Jr.
G. E. Bentley, Jr. is completing The Stranger from Paradise, a biography of William Blake. 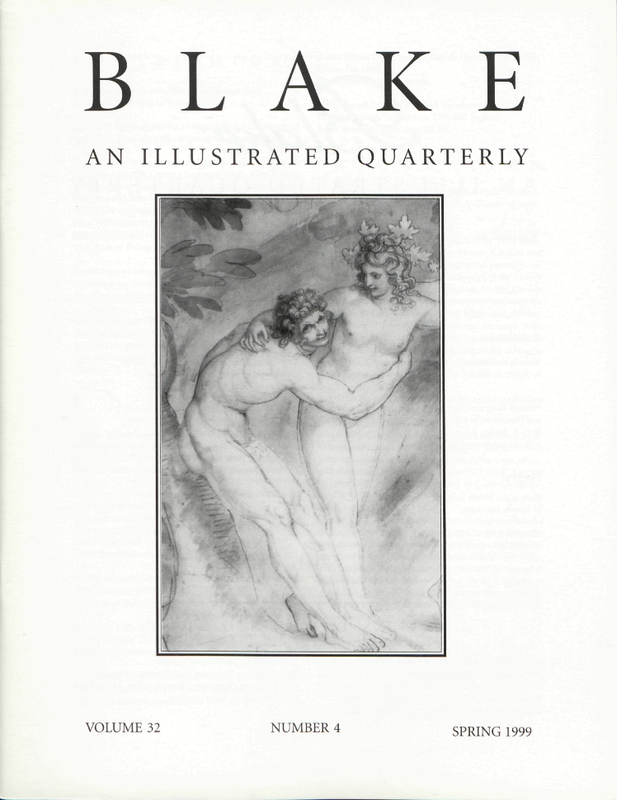 Robert N. Essick, Professor of English at the University of California, Riverside, collects and writes about Blake. Patrick Noon is the Patrick and Aimee Butler Curator of Paintings and 20th Century Sculpture at the Minneapolis Institute of Arts. From 1977 to 1997 he was Curator of Prints, Drawings and Rare Books at the Yale Center for British Art. In 1997, he organized the exhibition The Human Form Divine: William Blake from the Paul Mellon Collection (Yale University Press: New Haven, 1997). He is presently at work on a study of Blake’s drawings. Ian Singer is a doctoral student at the University of Toronto. He is studying the formative influence of William Blake in the criticism of Northrop Frye. Warren Stevenson is Associate Professor Emeritus at the University of British Columbia. The author of several books of criticism, most recently Romanticism and the Androgynous Sublime, he is presently working on a new volume of poetry. Cover illustration: John Flaxman. Three Classical Figures in a Landscape. Detail. See page 106, illus. 5. Photo courtesy of Sotheby’s London.